It’s a friends birthday and he wanted KFC. 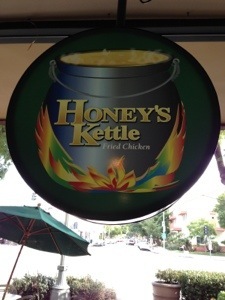 Luckily we had trouble with mapquest so we ended up at Honeys Kettle. Did I ever mention I love fried chicken? This place is one reason why. 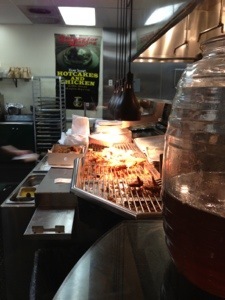 If you have a local haunt for fried chicken, please share it with me. I would love to go chicken hunting with you when I’m in your area. 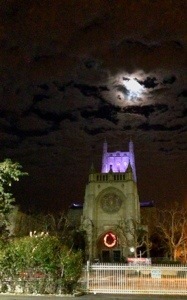 Last night’s shot outside a neighborhood church. 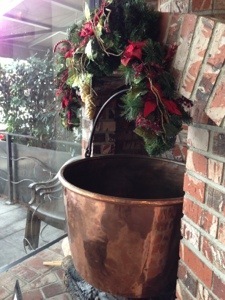 This entry was posted in Happiness Under $20 and tagged chicken, food, restaurant. Bookmark the permalink.